The next photograph in our Alfred W. Rea portfolio series is the north annex to the Christman’s Department Store built approximately in 1903 as storage for the store located at 5th and Main Street. Christman’s, which deserves and eventually will get a much more thorough post, traced its origins to Pete Christman who came to Joplin in 1890 and with his brother, opened up a joint venture at 5th and Main Street in 1892. Business obviously boomed for the Christmans and when they needed extra space for their burgeoning store, they contacted Garstang & Rea to build them that space. Later, a second annex was built adjoining this one on its south side. 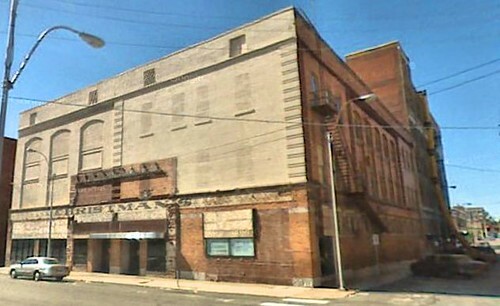 Also in the photograph is the Joplin Tobacco Company, and a glance at the large sign above which reads, “Matinee Today” is likely for the neighboring Paramount Theater. 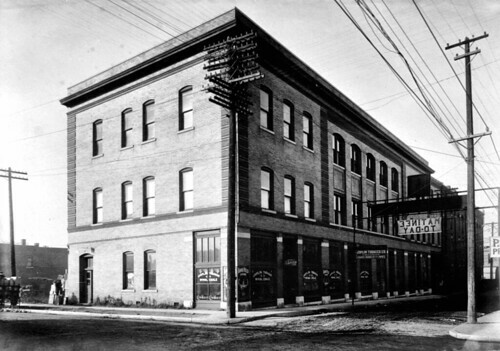 Happily, the annex still stands today and can be visited by going to the intersection of 5th Street and Virginia Street.